The departement of the Alpes Maritimes - Pop. 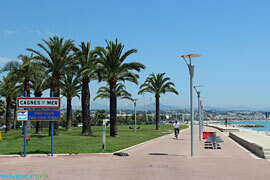 : 44.207 h.
Exit Cagnes sur Mer on highway A8, 13km. from Nice and airport. 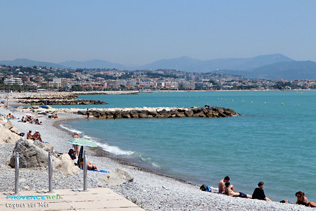 Even though well adapted to modern living, this seaside resort still has the atmosphere ot the leisurely, friendly, every day life of these history charged villages of the Cote d'Azur. 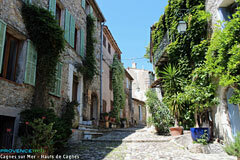 As does everyone, you too, will fall under the charm of the Haut de Cagnes (the old city at the top). This medieval quarter is full of tiny streets, stairs,little restaurants and old houses that gradually descend down and blend with the modern lower city. Cagnes is also a City of artists with such painters as Ziem, Derain, Cezanne, Renoir, Modigliani who all helped to make this city famous. 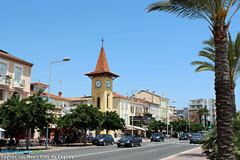 Cagnes is a fishing village and a seaside resort. 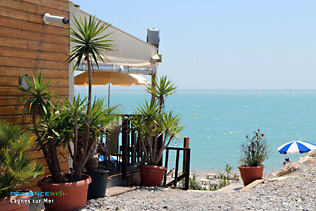 Strolling about the old fishing port af Cros de Cagnes is a must, and while you're there you will surely be tempted by some grilled fish or to try the local specialty of Poutine. Beach lovers and sun worshippers will be gratified by all the water sports available. The old quarter. Renoir domain and museum. 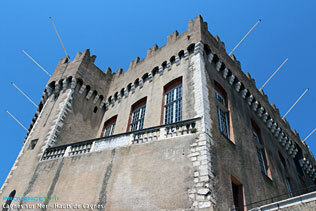 Grimaldi castle and museum. 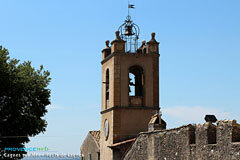 St. Pierre Church. Notre Dame de Protection Chapel (14th. c.). Water sports, sports meets, musical gatherings. Day and night horse racing at the Hippodrome of the Cote d'Azur. .
Saint Laurent du Var (6 km), Villeneuve Loubet (6 km) et La Colle sur Loup (8 km).